Although he has never been capped by his native Australia, Brock James is considered one of the best fly-halves currently operating in European rugby. He represented his country at U21 level but, despite productive spells with the Queensland Reds and Western Force, he never made the breakthrough at international level and the Australian Rugby Union barely protested when James opted to leave his homeland to join Clermont Auvergne in 2006. James had been charged with arduous task of filling the void left by British & Irish Lions No.10 Stephen Jones, who had returned to Wales after a hugely successful spell in France, but it was one that the former Sevens star rose to exceptionally well. 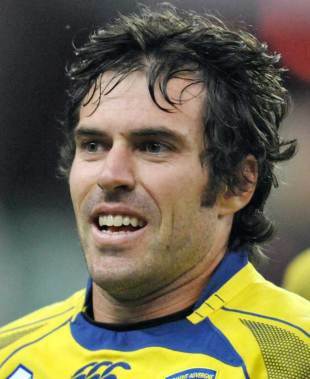 James was the Top 14's top points scorer in each of his first two seasons with Clermont and made history when he landed a staggering 41 successive placed kicks between January 4 and March 28 of 2009. However, while he has proven a major success in France, and helped Clermont lift the European Challenge Cup in 2007, he has experienced plenty of heartbreak. Clermont were been beaten in the Top 14 play-off final in three successive seasons before finally landing the Bouclier de Brennus in 2010.